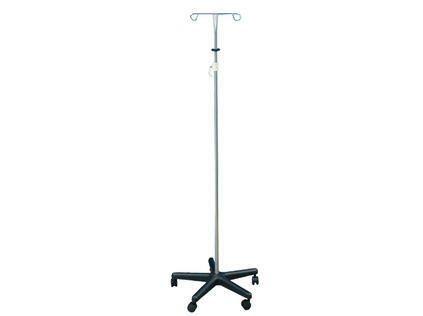 This non-magnetic IV Pole features a heavy weighted base for stability and two positive non-slip hooks which prevent loss of solution when accidentally jarred. The stand is height adjustable from 59" to 89.5" with a positive lock hand adjustment. Constructed of welded steel, the stand is mounted on five swivel casters.